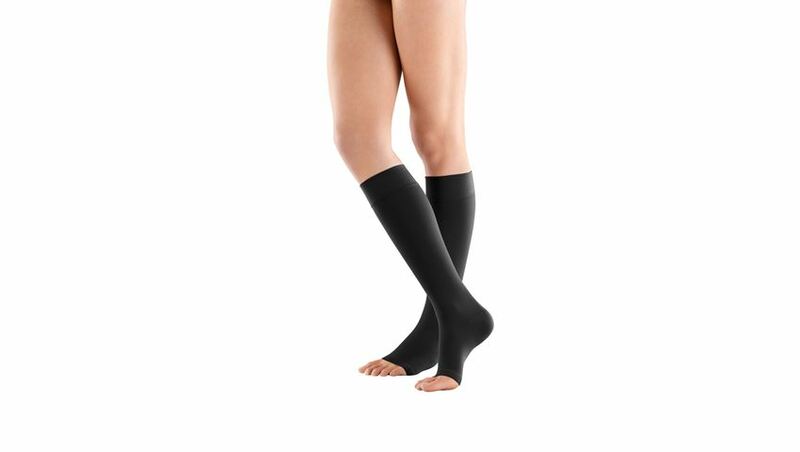 Bauerfeind® VenoTrain® micro AD Open Toe Compression Stockings, Knee-High provide controlled, gradient compression with maximum pressure at the ankles, decreasing gradually up the leg. Unique material with 50% premium microfiber, translates into unparalleled wearing comfort thanks to a very soft and gentle touch to the skin. The comfortable, elastic knit stimulates blood circulation, relieves your legs and has a classic, stylish look. The comfort sole has specific pressure relief zones along the heel and the ball of the foot. Elastic expansion zones in the middle of the sole ensure more stability in this area. Open toe. 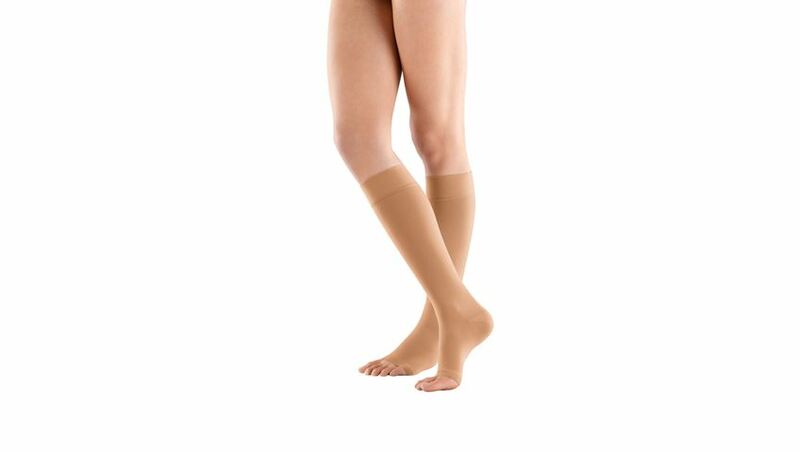 The VenoTrain micro AD compression class 1 (20-30mmHg) knee-high length is available in normal or plus sizes to accommodate varying calf sizes. Material content is 65% polyamide, 35% elastane. Available in Caramel or Black. Sizing: Measure calf and ankle circumference. To determine Short or Long, measure knee length (heel to under knee).